Thanks to your efforts, productivity will soar at the beginning of October. Don't be surprised if you're given a bonus or even a promotion in appreciation for your hard work. On the 5th, the Full Moon will tempt you into commanding the spotlight. Instead of taking all the credit for an accomplishment, you would be wise to share it with the entire team. A gracious attitude will win the approval of both your colleagues and bosses alike. Toward the middle of the month, you'll notice your sensual desires growing stronger. This is a great time to devote more time and attention to your partner. If you're single, you could meet someone special while you are out and about enjoying your favourite pastimes. The New Moon on the 19th will find you bending over backwards to get someone's attention. Instead of making a spectacle of yourself, it would be better to adopt a nonchalant attitude. Playing hard to get will pay off. Early in the month, travelling could put you on the path of romance. Falling in love with someone who has a charming manner is a distinct possibility. Are you already in a relationship? Take this opportunity to go on a trip you've both been dreaming about for ages. The Full Moon on the 5th will bring an unpleasant secret to light. Be ready to own up to your mistakes, apologise and make amends. A close relationship will give you added strength at the middle of the month. This would be a good time for getting engaged or married or signing a business agreement. On the 19th, the New Moon will disrupt your regular routine. You may have to change your diet and exercise routine to accommodate a health issue. Don't hesitate to lean on your best friend or romantic partner for extra support as October turns into November. Two heads will be better than one. You could find an ideal living situation in the early days of October. This is a terrific time to buy a home, sign a lease or refinance your mortgage. On the 5th, you'll seek the company of friends. Beware of overindulging at a party or you'll regret it later. Employment prospects will improve toward the middle of the month. You may land a job with excellent fringe benefits at this time. The New Moon on the 19th warns against falling for an unconventional newcomer. Although you'll be utterly smitten by someone who defies authority, they won't be a good partner for you. Hold out for someone with a good character. If you're already in a relationship, you'll be disappointed with the results of a creative project. Try not to dwell on this setback. Bigger and better opportunities will arrive as November approaches. Getting a grant or business loan will give you a welcome opportunity to develop your natural talent. A close and loving ambiance at the beginning of the month will make you feel as if you can move mountains. Take this opportunity to tackle a project that used to daunt and intimidate you. The Full Moon on the 5th will mark a big shakeup on the career front. You may not want to stay with your current employer as a result. Taking a prolonged vacation is a distinct possibility in the middle of the month. You've always been the epitome of caution and conscientiousness. Taking a gamble will be good for you. On the 19th, the New Moon will put strain on your domestic life. Instead of maintaining an expensive lifestyle, you may prefer to downsize. Moving to a smaller, cosier abode is a distinct possibility. You'll notice your priorities will undergo a radical change as October draws to a close. Find a way to spend more time on the things you love. Finances are looking good in the first few days of October making this is a great time to land a new and better paid job, ask for a rise or increase your fees. On the 5th, the Full Moon will bring a disappointing decision about a legal or official matter. Look at this is an opportunity to make a fresh start. You'll get an exciting chance to embark on your dream career toward the middle of the month. Work involving research, restoration or revivals will be especially rewarding. The New Moon on the 19th will darken your normally sunny outlook. Try not to feel too gloomy. Listening to uplifting music, watching upbeat movies and reading inspirational books will be welcome diversions from troubling current events. As October turns to November, you'll get a chance to improve your work conditions. Confront a colleague who has been saying unpleasant things behind your back. It's time to clear the air. A love affair will put a special spring in your step that's impossible to ignore in early October. Don't be surprised if people want to know the cause for all your joie de vivre. On the 5th, the Full Moon will put an unexpected strain on your budget. It may be necessary to cover expenses while your business or romantic partner looks for work. Your schedule will become much more manageable in the middle of the month. Take this opportunity to get on with doing those things that bring you the most pleasure. 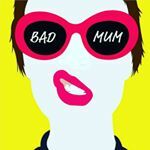 The New Moon on the 19th will bring more demoralising news about a money matter. You may not as earn much as you expected for a job well done. Let this be a lesson about working for an unscrupulous companies and conglomerations. The next time they come at you with a job offer, turn them down politely, but firmly. As November approaches, you'll get positive feedback from your world of work. The first days of the month are perfect for making home improvements. Extra money will be available for an upgrade to your bathroom or kitchen. If you're looking for a new place to live, this is the time to launch a search. You'll find the ideal place in a naturally tranquil setting. The Full Moon on the 5th will draw your attention to a close relationship. Be more attentive to your best friend, romantic partner or workaday colleagues. You've been wrapped up in your own affairs; taking the focus off yourself will strengthen this bond. There will be plenty of ways to make money in the middle of the month. Take this opportunity to build some financial security for you and your family. On the 19th, the New Moon will tempt you to change your image. Don't do anything radically that will permanently alter your appearance. An impulsive decision will be a cause for regret. Family time will be rewarding at the end of October. Your social life will scintillate with excitement at the start of October. Have a great time attending parties and catching up with friends. On the 5th, the Full Moon will bring the end to a stressful situation. You won't be satisfied with the results, but you will be relieved to put this particular problem behind you. Don't be surprised when your star begins to rise in the middle of the month. Suddenly, you'll be surrounded by people who think you are great. It will be easier to get an audience for your plans and projects. Take full advantage of this increased prestige; you have earned it. The New Moon on the 19th will create some difficulties with a bureaucratic matter. You'll have to submit paperwork several times before making any headway. The approach of November will change your outlook about a political or social issue. Don't be afraid to admit you were wrong in the face of compelling evidence. You have the potential to reach new heights in your career at the beginning of the month. Don't hesitate to apply for a promotion or a better paid position during this golden period. The Full Moon on the 5th will make you long for a break, but will there be time for one? Obligations to your community, family and colleagues will keep you busy. Take a vacation toward the middle of the month. Choose a solitary destination where you can hear yourself think. You need to replenish your energy, not drain it. On the 19th, the New Moon will mark the start of a creative project. Working with a team will be stressful; there will be several hot-headed players who try to test your patience. Conserve your resources at the end of October. You'll want to have some money in reserve to cover unexpected expenses in November. A medical expense or tuition bill could be higher than you expect. Don't be shy about sharing your expertise in the early days of the month. You may be surprised when your in-box gets flooded with requests for your services. On the 5th, the Full Moon will put strain on your domestic life. It may be necessary to get some emergency repairs done on your electrical or plumbing system. Friends will be especially supportive during the middle of October. Accept offers of help, especially if you feel a little overwhelmed. The New Moon on the 19th could bring some unwanted attention. It may be necessary to take the blame for someone else's mistakes. Your gracious attitude will earn the respect of both your peers and superiors. Your personal life will be a welcome haven from professional pressure with the approach of November. Meet with friends who can always make you laugh. The secret to your success is your ability to see humour in every situation. October begins on a romantic note. Spending quality time with your amour will strengthen your mutual devotion. If you're single you might meet someone special at a professional conference or training programme. The Full Moon on the 5th will bring your attention to routine tasks you've been neglecting. Clear your schedule to run errands, return messages and submit paperwork. Your career prospects will get a boost toward the middle of the month. If you've ever wanted to start your own business, this will be the ideal time to try. On the 19th, the New Moon could create legal troubles. Instead of going to court, it may be better to pay a fine or settle with your adversary. Getting involved in a long, protracted tussle will be expensive. As the month winds down, you'll be able to take leadership of a troubled division. Your innovative leadership style will reveal hidden talents in several members of the team. A close partnership will help you get through a period of profound transformation at the start of the month. Cast your fears aside and take the first step towards a bold dream. You're on the way to a landmark success. On the 5th, the Full Moon will put a strain on your budget. Instead of accepting lacklustre pay for an important job, demand a rise. If your demands aren't met, you could find a good position elsewhere towards the middle of the month. Apply for work at a cultural, religious or educational organisation that is famous for treating its staff well. The New Moon on the 19th will cause an argument to break out between you and a business or romantic partner. If you are going to maintain ties, it will be necessary to make compromises on the financial front. You'll both have to tighten your belts to achieve the security you need. Make some sacrifices with the approach of November. 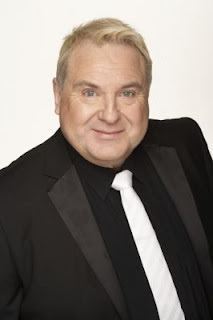 For more information on Russell Grant please visit here.